The lights dimmed. The mist rose. The crowd hushed. The silence, broken only by the snort the of a great steed as it pawed at the dirt. Then, in the darkness, the clink of armour and the rustle of chain mail. We gasped. The moment was upon us. 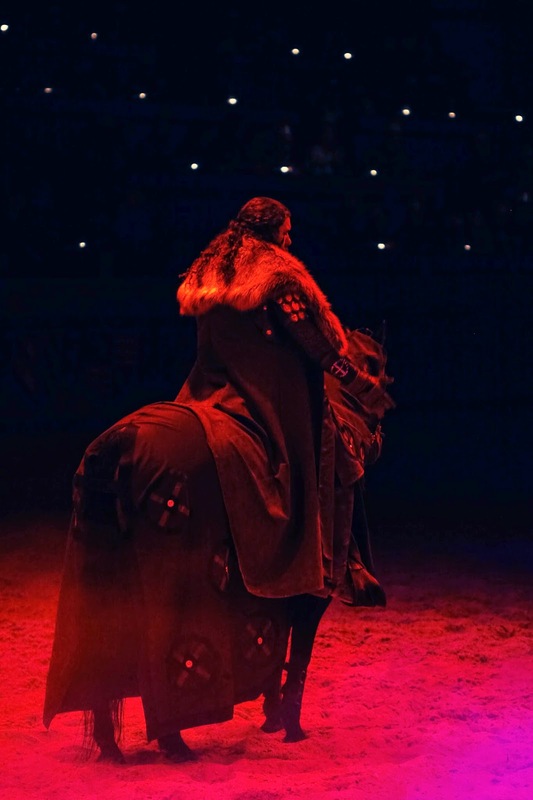 With the blare of trumpets, the cries of a falcon and the thundering of hooves, the knights galloped into the arena. The Lord Chancellot bellowed "Let the tournament begin!" Would our gallant knight, our champion of the realm, be victorious or would the herald from across the mountains steal our princess, our pride and our honour? For my five year old, this is pretty much as intense as it gets. 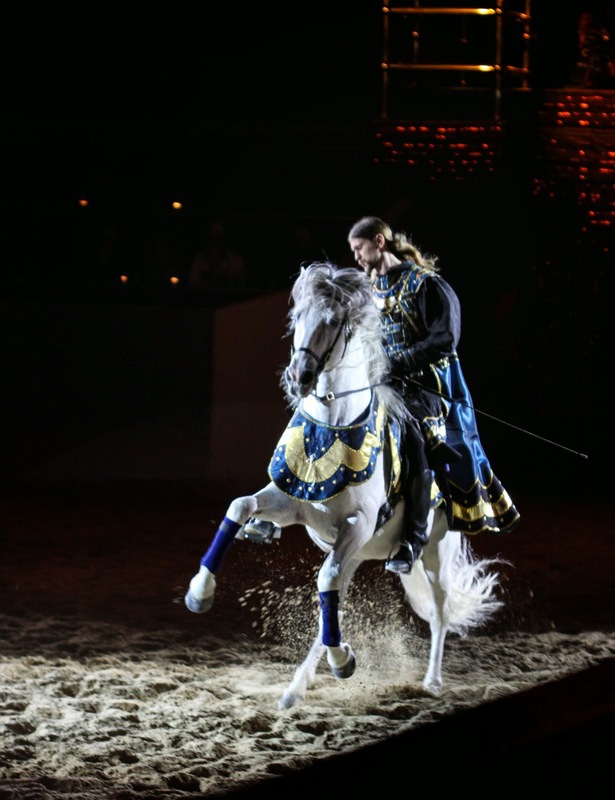 This wasn't just dinner and a show, this was a journey to the heart of the Middle Ages. Ok, not only for him. I was drawn in. Yes, in this technologically obessed, screen-filled 21st century, the mystique, the pageantry, and the nobility from a lost age holds sway. 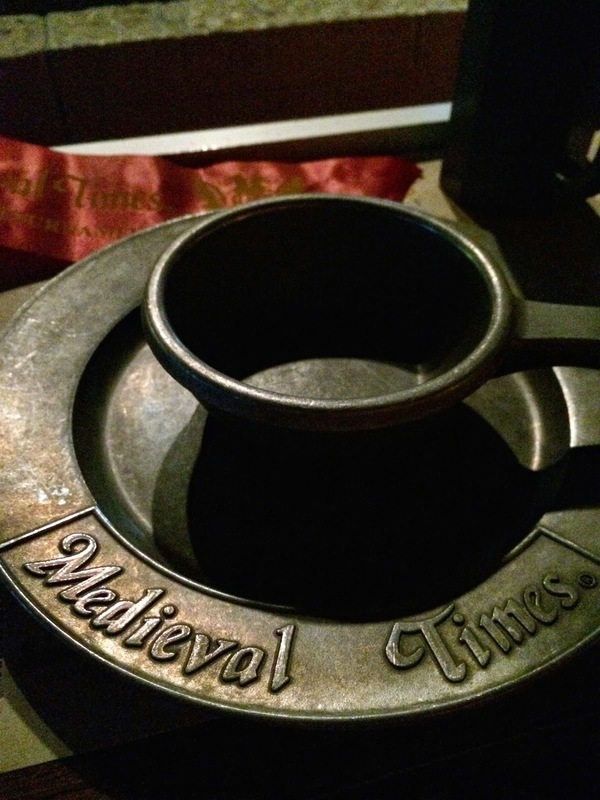 Last month we had the opportunity to head to the Toronto Castle for the Medieval Times Dinner and Show. And what a show it was! 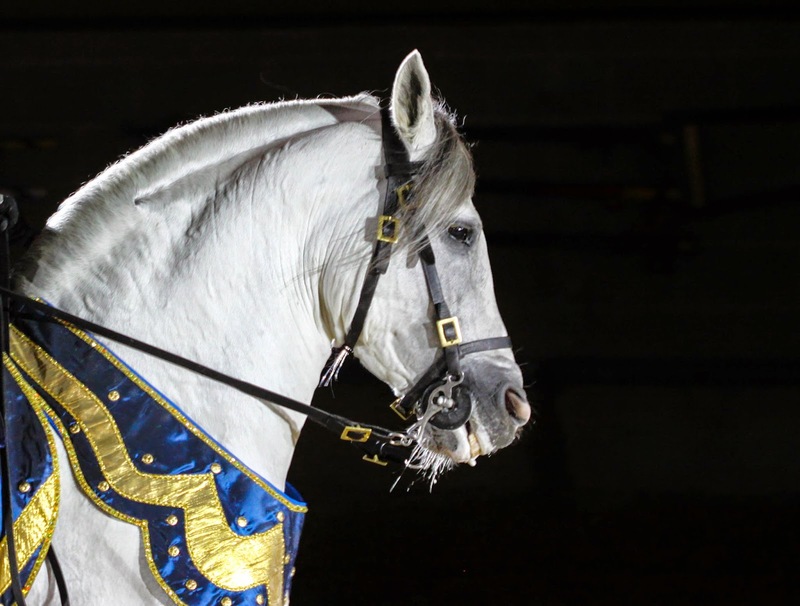 There were feats of horsemanship, fierce battles, and a gripping story. Even the food was pretty good - Ollie couldn't believe he was supposed to eat with his hands and how often do you come across Dragon's Blood Soup? The evening was structured really well. You have assigned seats, the arena gets sat in an orderly fashion (although they make it seem like a contest) and there is plenty of time to get settled before the show begins. (Pro tip: There's lots of time, you have a reserved seat and since there are no facilities in the arena, go to the washroom before being sat). The staff are courteous and seem to be having almost as much fun as you are. Specialty drinks (like wine and smoothies) are a little pricey, but come quickly. 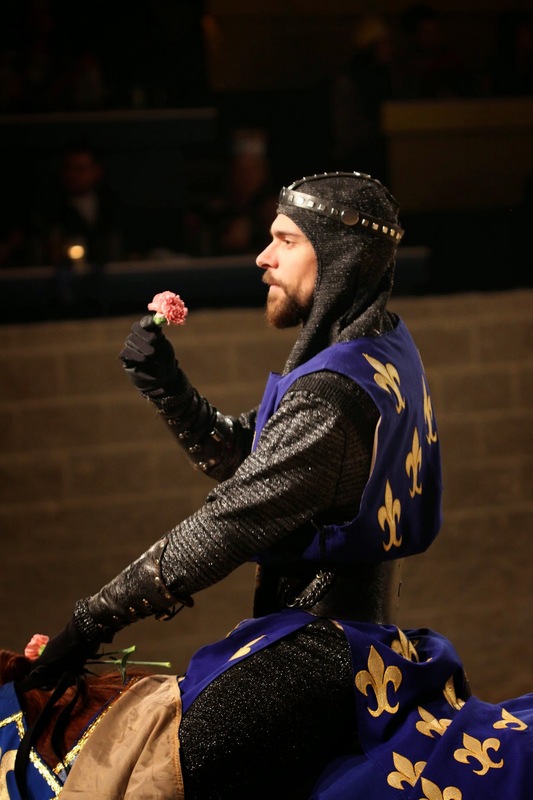 I won't spoil the story, but there is a tournament and each section has a knight to root for. There are games of skill and pagentry before the jousting begins. I couldn't believe the tiny targers these knights could hit with their lances and spears. 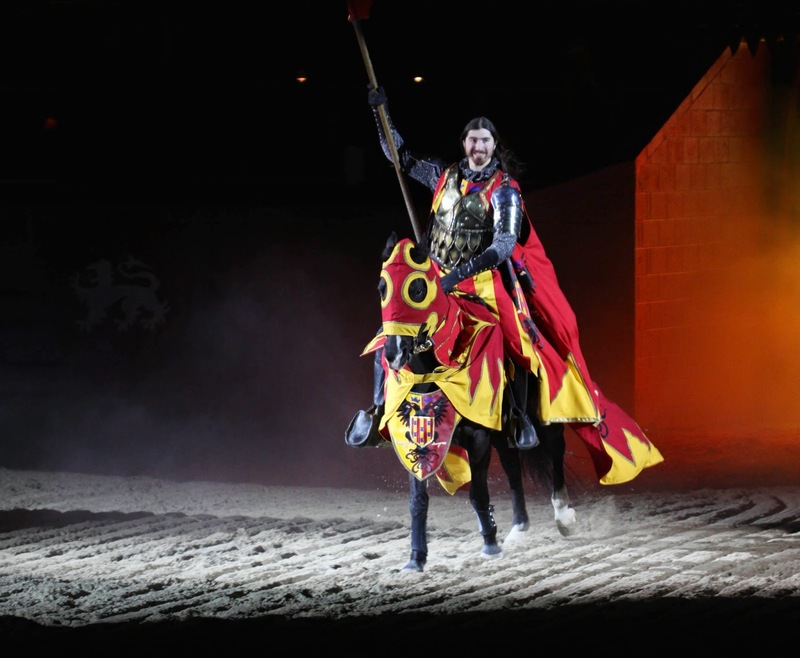 The jousting itself is exiciting, with exploding lances and riders getting "knocked" from horses. Then the battles continue on the ground with sword and shield, mace and staff, and all other manner of medieval weapons. The sparks did fly. Literally. The tension builds with just the right amount of light, smoke and trickery. And of course there is the villain. 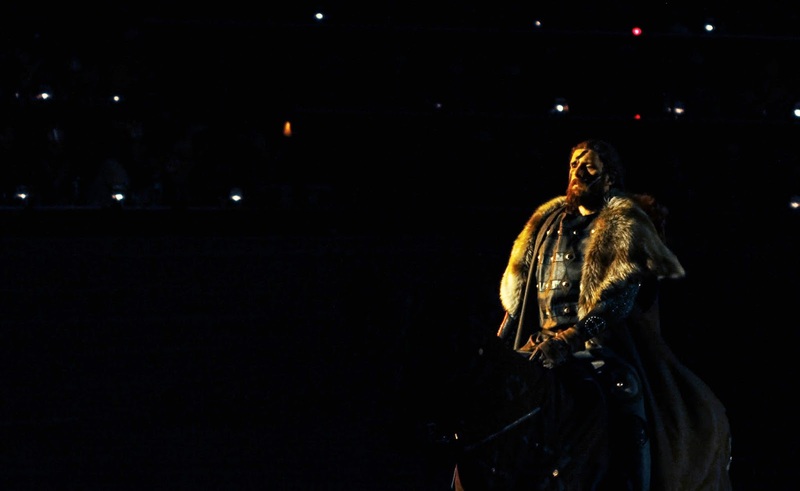 We cheered like crazy for our champions, hissed heartily at the villain, and celebrated throughout the evening. The five year olds had a blast and so did the dads. I could only imagine a birthday party here. As we filed out, fully sated on feast and action, a second show was readying to start. And the audience for the sequel was dressed as much in period as the performers. Seems we are not the only ones to have discovered Medieval Times. 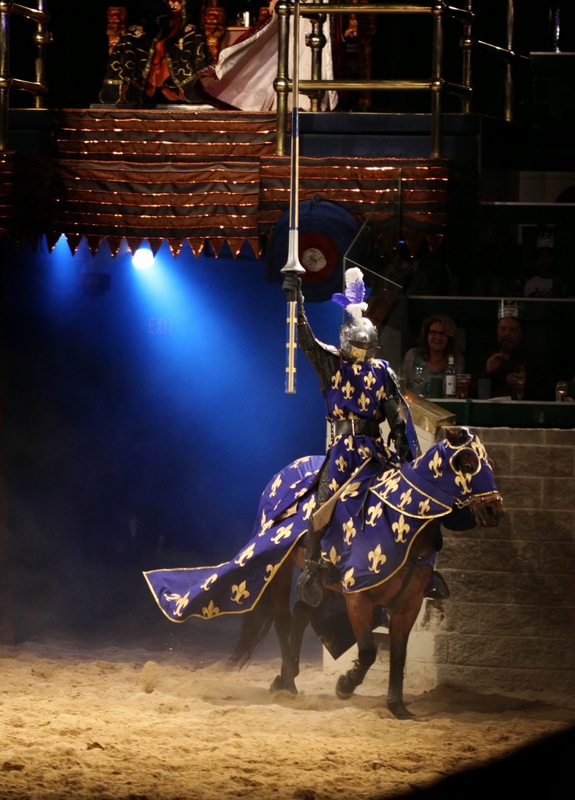 Full Disclosure: Medieval Times provided us with free tickets to enjoy the performance.